I want to reset my iMac (late 2014, 1 TB Fusion Drive) to factory settings. As I want to set it back to Yosemite, I am using Internet Recovery (Command-Option-R) as I have installed El Capitan in the meantime. I was able to erase the HDD just fine in Recovery Mode Disk Utility, but now I am stuck. First Aid Verify Disk doesn't show any anomalies either from what I can tell ("The volume ... appears to be OK"). First Aid Repair went through without issues, but that didn't change anything. Tried rebooting several times but that didn't help either. I also tried El Capitan Recovery mode (just holding Command-R without Option), it looks a bit different, but the overall result is the same. In Disk Utility each drive is represented by one line with indented lines underneath them for each partition (or volume) on that drive. From the screenshots you provided, you are using a drive constellation Apple calls a Fusion drive. It consists of an SSD and a regular hard drive logically bundled together. 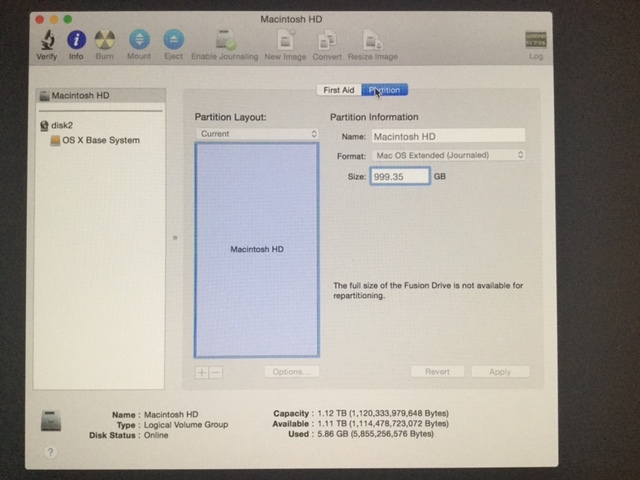 Disk Utility detects the logical volume group of that constellation, which is named "Macintosh HD" and by default there is a partition underneath it with the same name. After that, you will be able to install OS X again. Not the answer you're looking for? 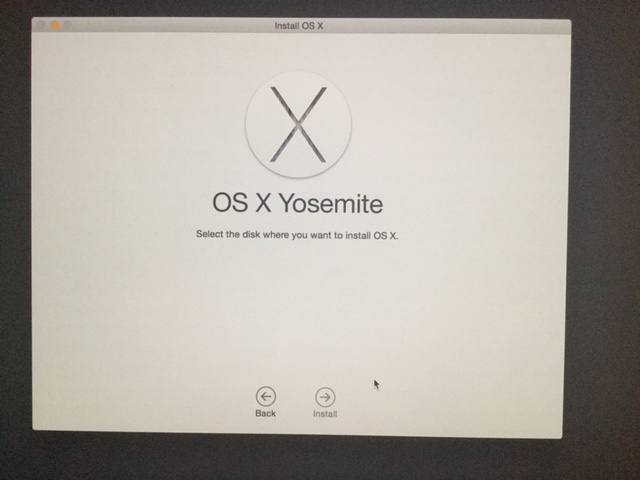 Browse other questions tagged macos yosemite disk-utility internet-recovery . Why is there no 'Recovery HD' listed when holding 'option' on startup, however, 'Recovery HD' is shown in terminal with 'diskutil list' command?